Santos’ efforts towards a peace accord between the government of Colombia and the FARC – that recently failed to come to fruition due to a negative result in a national referendum – have been nonetheless recognized with the prestigious award. The rejection of the peace accord by popular vote has often been labeled a ‘Brexit moment‘, as Santos has been compared to Cameron. This shroud of pessimism that has been clouding this process made the announcement an unexpected surprise for many, and – to some degree – a bit of a disappointment. The attribution of the Nobel Peace Prize to an individual who didn’t manage to achieve his peace goals shouldn’t be seen as negative nor ironic. It should be seen rather as a recognition of the strenuous four year long struggle to end a half a century long conflict, as well as – and especially – an incentive for the continuation of the renegotiation of the peace process. The Nobel Peace Prize hadn’t been attributed to a Latin american individual for more than 20 years – Guatemalan women’s rights and minorities rights activist Rigoberta Menchú Tum was the last one to receive the award, in 1992. 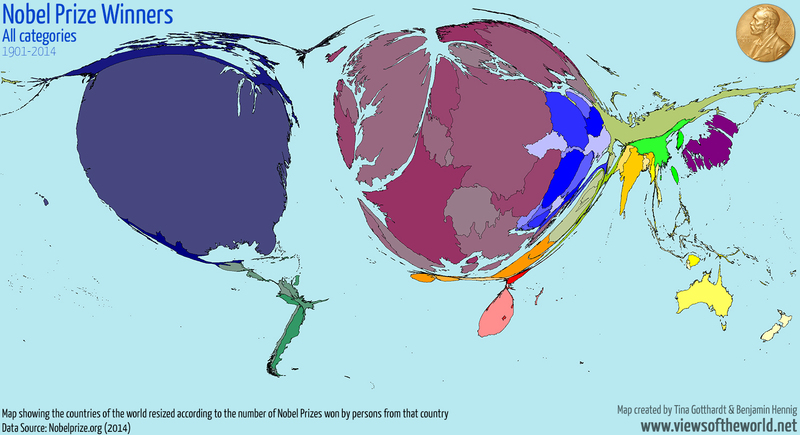 This distorted map reveals the unequal geographic distribution of Nobel Prize winners worldwide. According to a fascinating 2013 Washington Post article, more than half of all Nobel Prize winners come from the US, the UK and Germany, and more than 80% of all Nobel laureates are from Western countries – including Western Europe, North America, Australia, and New Zealand. 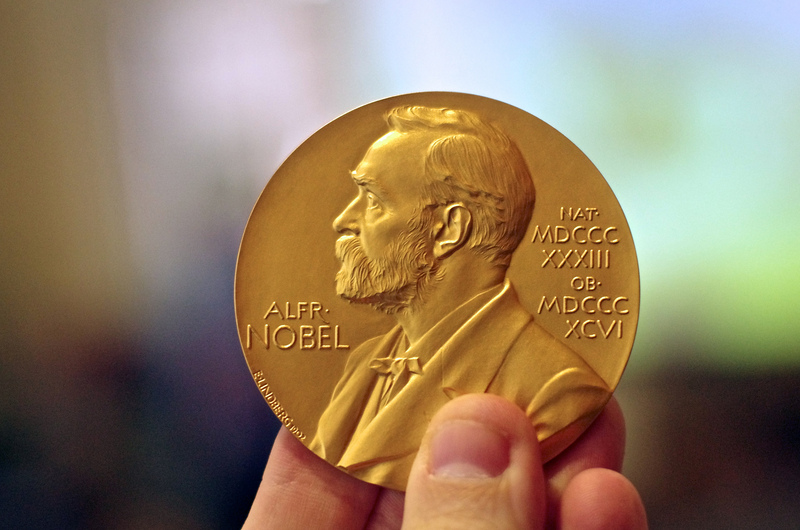 Geographic distribution isn’t the only inequality in Nobel Prize laureates. The gender gap is also quite noticeable. According to a 2015 article by the Telegraph, since it was established, 825 men have won a Nobel Prize, whereas only 47 women have done so.